Edina’s parents separated when she was still very young. Then her mother took her with her two brothers Evarist and Emmanuel to her home place Kisesa. In 2000, her father died of Diabetes. Later in 2004 her mother died as well of TB – could possibly be HIV AIDS. Edina and her two siblings had to remain with their grandparents who are very old – 70’s and are not able to look after theml. Her grandfather had heard of Bethany being the best place in Tanzania to look after orphaned children, so he came to Bethany along with the letter from the social village leaders to ask if Bethany could help him look after his grand-children. In June 2004, Bethany admitted them. 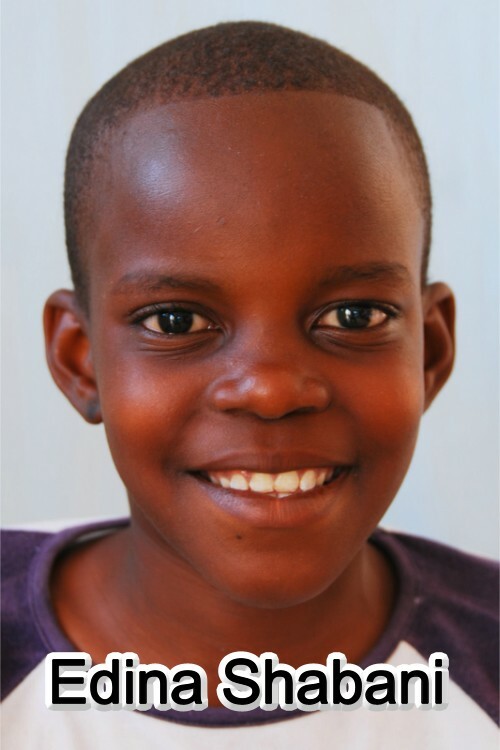 To date, Edina is a happy girl, gets along well with her fellow children and she works very hard.